Bodhisattvacaryavatara, composed in the 8th century A. D. by the Indian monk poet Shantideva, is one of the most celebrated texts of Mahayana Buddhism. It has been translated into Tibetan and is included in the Tengyur, as are the translations of a number of Sanskrit commentaries notably that o Prajnakaramati (9th century A. D.). Thereafter, numerous Tibetan commentaries were composed, which is indicative of the high esteem in which the work is held by all traditions of Tibetan Buddhism. In this masterpiece, the author, who belonged to the Madhyamika school of Nagarjuna, describes in detail the conduct of a bodhisattva, one who aspires to attain supreme enlightenment or Buddhahood for the benefit of all other sentient beings. Acharya Shantideva himself was a bodhisattva, who, while strictly observing the code of monastic discipline, was inwardly a realized tantric adept. 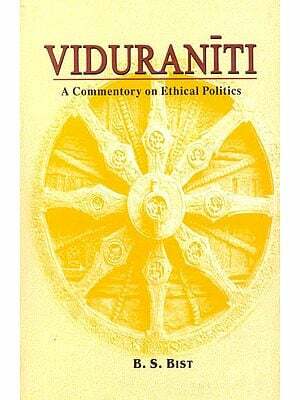 Bodhisatt-vacharyavatara was clearly derived from the author's conduct of his own life, and it is its essentially practical nature that gives the book its universal, timeless appeal. I am glad that Pro. Parmananda Sharma has translated the Bodhisattvacharyavatara into English from the original. Sanskrit and that he extensively consulted Prajnakaramati's Sanskrit Commentary in giving his own exposition of the verses. Prof. Sharma is to be commended for his effort in producing a new rendering of this classic work. It was in 1973 that I had my first audience with His Holiness The Dalai Lama. His compassion and love have been available to me in ample abundance since then and I regard such a privilege as a purely karmic boon for a puny me. It was during this first audience that His Holiness very kindly gifted to me a few books including Santideva's 'Bodhicharyavatara' in its Sanskrit edition along with Prajnakarmati's 'Panjika'. This gift was an act of divine grace by the living Buddha of Mercy, the Fourteenth Incarnation of Chenresi. As I browsed through the book I became increasingly fascinated by its scintillating poetic diction combined with superb logic and loftiness of thought. I felt I should render these beautiful verses into English adding side by side a 'sloka-wise' exposition of the theme in accordance with the original Sanskrit Commentary of Prajnakarmati. My esteemed friend Gyatso Tshering, Director, Library of Tibetan Works and Archives, Dharamsala, had in the meantime given me a copy of 'A Guide to The Bodhisattva Way of Life,' a translation into English from the Tibetan version brought out by LTWA. Apparently this translation, though admirable in itself, was twice removed from the original Sanskrit version. I, therefore, decided on my present venture so that the verse-by-verse translation and the exposition would ensure a near faithful proximity to the original. The present attempt I not intended to denigrate the merits of previous translations but to supplement and augment them in the noble effort of bringing to the notice of the world; this great classic of Madhyamika philosophy. If my humble attempt fails the expectations of the pedagogues, I owe no apology to them, because, as a layman, I write for the common man who, in spite of his daily chores, practices more of dana, 'Sila' and 'ksanti' and accepts 'dukha' and death in a more resigned manner than his other brother surfeit with scholarship.